Did you have a little too much to drink last night, and decide to drive home anyway? Did the party you were at have some unidentified drug your friends convinced you to take? Did a police officer pull you over while driving home because he could tell you shouldn’t be on the road? If so, you know you’re in for a world of trouble. But what kind of trouble? Are you going to be charged with driving under the influence (DUI) or driving while intoxicated (DWI)? Aren’t they basically the same? Actually, they’re not. 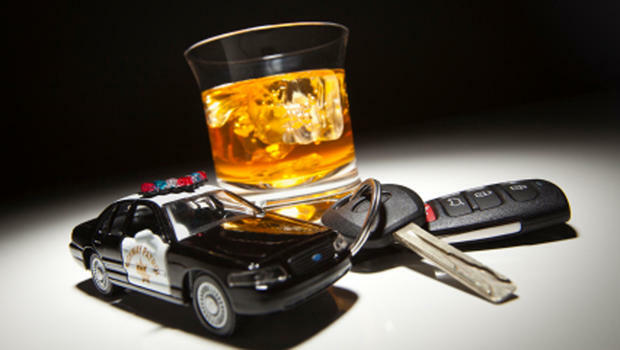 There are some fundamental differences between a DUI and a DWI. To begin, a DWI is specifically for instances in which alcohol is the cause of the intoxication. In an instance in which drugs are involved, it is ruled as a DUI. In Texas, the main difference between a DUI and a DWI is the age of the driver. If the driver is legally old enough to drink, but has a blood alcohol concentration (BAC) of .08 or higher, they are charged with a DWI. If the driver is not of legal age, and has any alcohol in their system – regardless if it is at or above the legal limit – they are charged with a DUI. In 2015, there were almost 100,000 DUI arrests and 71,030 convictions. Texas has zero-tolerance policies, which is what allows minors to be considered driving under the influence regardless of the amount of alcohol in their system. There are other policies in place to prevent drunk driving, such as random sobriety checkpoints and ignition interlocks. An ignition interlock is installed in cars to measure the amount of alcohol on someone’s breath before the car starts. This is used for people convicted of drunk driving in the past, and is effective for preventing repeating offenses. Another difference in Texas is the penalty assigned to each. For a first-time DWI offense, the fine can consist of $2,000, a jail sentence of up to 180 days and loss of license. For a first-time DUI offense, the minor can receive a $500 fine, 60-day license suspension, community service and alcohol awareness classes. The penalties are increased if there are passengers, specifically child passengers. If you are with a child, not only are you convicted for drunk driving, but also child endangerment, if the child is younger than 15 years old. This includes a fine of $10,000, up to two years in state jail and loss of license for a period of time. In 2015, there were 1,446 drunk driving fatalities in Texas. 9 percent of those were under 21. This has increased by 7 percent in three years, when it was already higher than the national average. 21 percent of the fatalities (the highest) were between ages 21-25, which has increased by 11 percent since 2012. There were also 25,479 crashes and 15,687 crash injuries. About every 20 minutes in Texas, someone suffers a personal injury from a car accident involving alcohol. If you or a loved one has suffered a personal injury due to the negligence of an impaired driver behind the wheel, de Lachica Law Firm is committed to helping you with your personal injury case. Contact Houston car accident injury lawyer de Lachica Law Firm in Houston today.